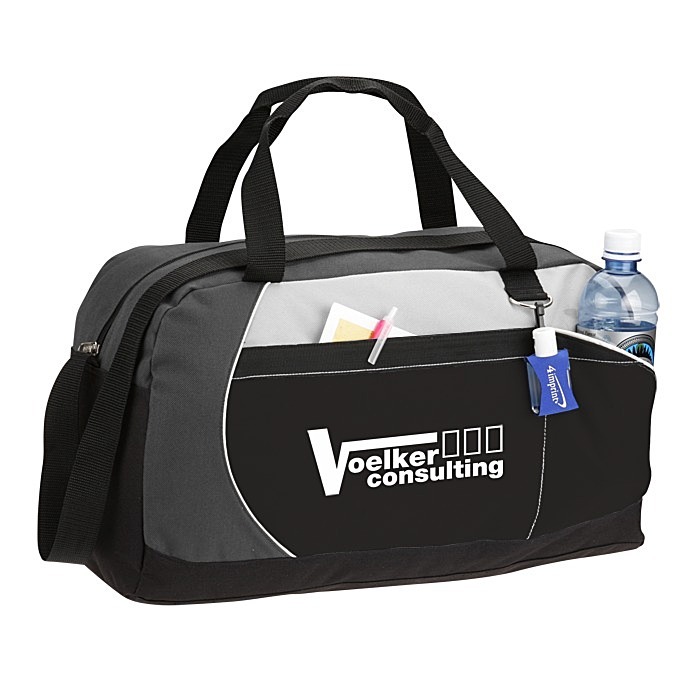 Modern heavy duty sport duffel carries their gear and your marketing message! 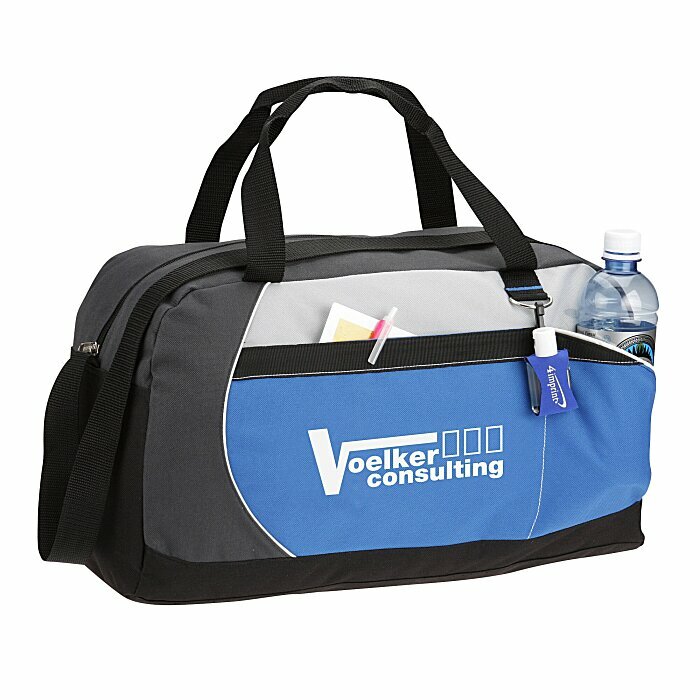 600D polyester sports bag has large zip opening to main compartment. Features short carry handles and shoulder strap, flat front slip pocket and water bottle pocket. Metal D-ring to attach sport bottles or gym membership passes. Size: 9-1/2" x 18" x 8".